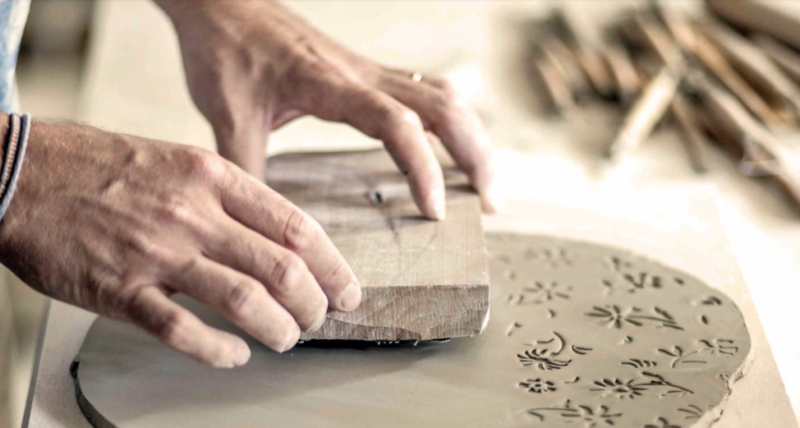 Family-owned since 1920, Bertozzi works closely with artisans who are skilled at block printing. Luigi Bertozzi is the grandfather of the current owner, and the one who originally started this business. He was a cabinet maker for years, until he started carving wood motifs when he became inspired by rural landscapes and Italian architectural decorations. Since then the business has been passed down from Luigi to his son, Pier Paolo, and from Pier to Gianluigi. Gianlugi is an architect and artist, who has proudly followed family tradition while implementing innovative ideas in design and materials. By doing so he has ensured them a place competing with both traditional and modern-style home goods. Since the beginning of their creation, Bertozzi have been collecting their handcrafted stamps and compiling them into an archive. By doing so, they have access to over 500 motifs that can be used in combination for an endless expression of styles. Their stamps are not only used to print on cloth, but are also often used to stamp the surface of ceramics before baking. From stamps to dye, every part of Bertozzi’s process is handmade, and their color recipes are one of their best kept family secrets that are impossible to replicate. 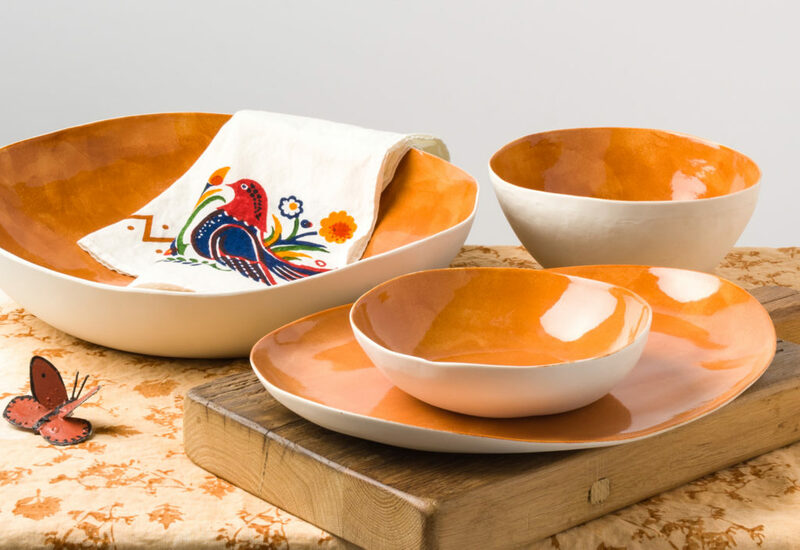 Although some may view the inconsistencies in their printed linen or ceramic glaze as “imperfections”, these variations in appearance are actually a mark of authenticity, showing that these are uniquely handmade items. Bertozzi is also committed to using eco-friendly practices. Aside from using environmentally friendly dyes and 100% natural fiber that is made in Italy, they are also committed to a production model that follows a make-to-order system. By creating work as it comes in they are reducing any wastefulness that can occur with mass production. This also means that they work more closely with their clients, often creating items that are specially made for their customers.